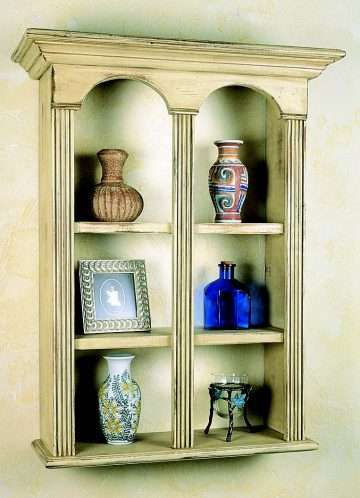 Features 3 shelves (6 openings) for display. Center divider does not go through to back, so entire shelf can be used. Top 2 openings are approx. 9-1/2 H (top of arch) x 7 W, and bottom 4 openings are approx. 7 W x 7 H.
Ships in 1 corrugated cartons (19 by common carrier).